What’s holding you back from starting your business blog? Or from posting regularly? I’m willing to bet your reasons seem very rational and responsible. I’m also willing to bet that if you dive a little deeper, you’ll find that those reasons are really BS excuses holding you back when you should be shining like a diamond. 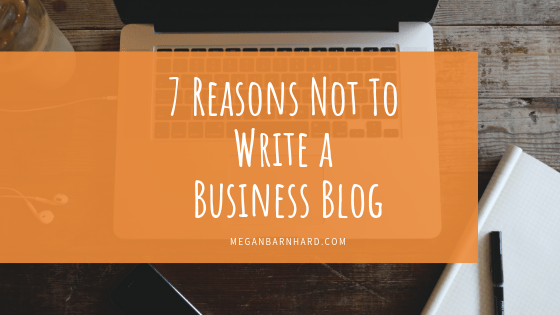 Let’s debunk 7 of the most common BS excuses for why you can’t write a business blog. Once you realize these are just beliefs, you’ll be able to choose whether or not to, well, um, believe them. As you read, ask yourself if you’re ready to let go of the excuses and give yourself permission to share your business passion and savvy. So you can grow your audience and your bottom line! Really? You don’t have thoughts or opinions about your industry? Take a few minutes with a voice recorder or a notes app and ask yourself the following questions. Why did I get started in my business? What did I just talk to a customer or consult about? What questions do people ask me all the time about my work, and how do I answer? How have I helped a customer lately? What’s a common misconception people have about the work I do? What’s a tool, tip, or resource I’m always telling my customers about? Ask yourself these questions on a regular basis and just TRY not to have any ideas! 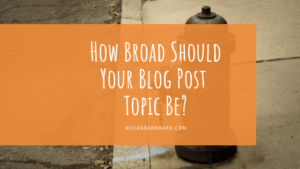 And check out my five favorite business blog post topics for even more ideas. The people who hire you care an awful lot about what you think. They want to work with someone they vibe with. They want to spend their time (and their dollars) with someone who gets them. And the way they find out whether or not you’re that person is by listening to your voice and your ideas, aka by reading your business blog. People who truly don’t care what you think are not your ideal customers. But finding people who ARE interested in what you have to say takes you one step closer to finding people who want to pay you for your expertise. Amazing blog posts are overrated. Most readers skim posts. They’re scanning for something interesting that catches their attention. They’re not reading deeply, the way they read books or love letters. “Pretty good” content you actually post is way better than “amazing” content you spend 3 months perfecting — or never post at all. A business blog is for solving small problems and giving advice. And for sharing your authentic voice — not your Pulitzer Award winning writing. Focus on that and stop worrying about being amazing. Three cheers for drag-and-drop website platforms! Get on Squarespace. Get on Weebly. Get on WordPress. Any website builder you use will be set up so the average Jane can easily start a professional looking business blog without having to be a tech whiz. 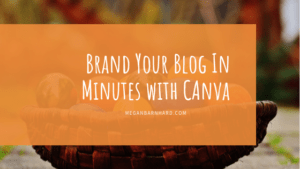 Get yourself a free account on Canva.com to make featured images for your posts. You’ll learn as you go and you’ll get more comfortable. But you can get started on your business blog with just a laptop and a phone. Don’t! Having few or even zero followers means you can get started blogging without the pressure! 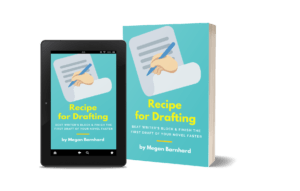 You can hit “publish” without getting stage fright or worrying about pleasing thousands of readers. 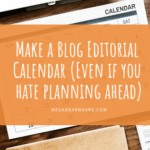 Get your business blog started and share your posts with your email subscribers (even if the only people on your list are your mom and your cat.) Encourage your subscribers to forward posts to friends. Share your posts on your social media channels. Tell your friends and your networking groups and your hairstylist when you have a new blog post up. Create buzz. Your blog’s purpose is actually to grow your audience. So start creating content that you can share. Give people a reason to follow you. If you don’t have enough time to write a thoughtful 2,000 word essay about something every single week, I feel you. Neither do I. So let’s set more realistic expectations. 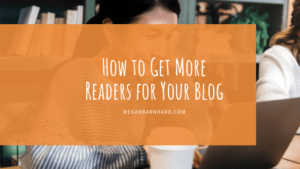 If you want to inform, entertain, or inspire (and BTW, that’s exactly what you want to do on your business blog! ), all you need to do is shed some light on a topic. You don’t have to give the entire history of the topic and share all your thoughts. In fact, no one has time to read all that every single week. 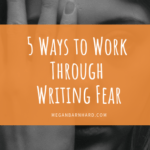 Once in a while you might get inspired and bust out 2k words, but most of the time, 500 – 1000 words is all you need. Remember what we talked about in Reason 2? It’s not that everyone will care about your blog. But people who are a good fit to be your customers will. They’ll find value and get to know, like, and trust you. They’ll dig your voice and your approach. Your potential customers need your blog. Not someone else’s. Here’s why. Picture a book store (a physical one, or your fave online retailer). Now, picture a nonfiction section, like self-help. Do you think every self-help book by every other has unique information? Or do you think it’s possible that Rachel Hollis, Jen Sincero, Gabrielle Bernstein, and Rhonda Byrne might have overlapping ideas? Each of them has a different voice, a different approach, and a different vibe. They create A-ha! moments for different readers. The way you inform, entertain and inspire will resonate with certain people. Those people have been waiting for your message. They need your voice and your way of showing up in the world in order to really hear the message, even if it’s already floating out there on the wind. So stop reading and start writing! There’s a person out there who needs to hear what you’ve got to say. Feeling inspired but till a bit unsure how to do it? Let’s chat! 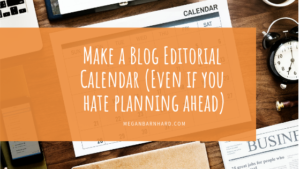 Schedule a free consultation with me and let’s talk turkey about how you can take action and start blogging like a boss.